Country music star Carrie Underwood has shared the first baby-bump photo from her second pregnancy. Underwood posted the picture Friday. It shows her smiling as she looks on from backstage at musicians performing. She is wearing a long dress and her mid-section is visibly larger than usual. "Opry," she captioned the image, adding three heart emojis. 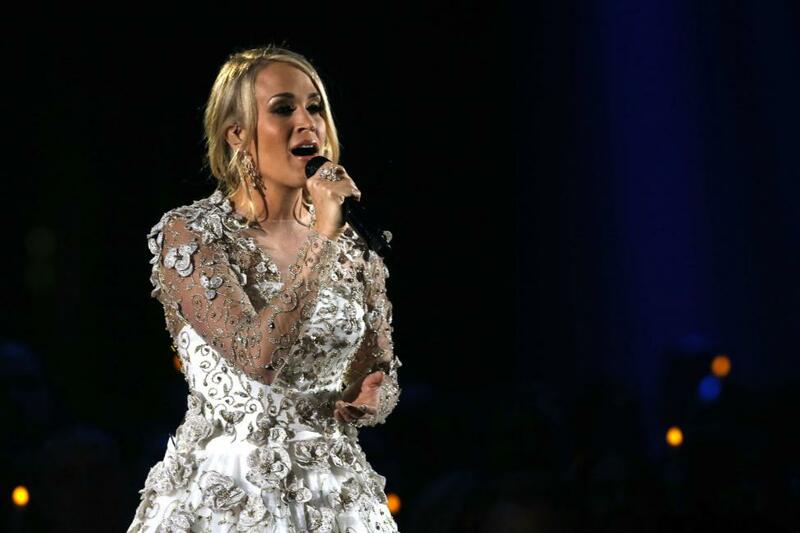 The singer announced this week that she and her husband, hockey player Mike Fisher, are expecting another baby. The couple already have a 3-year-old son, Isaiah.